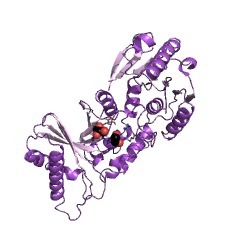 The THUMP domain is named after after thiouridine synthases, methylases and PSUSs (PUBMED:11295541). 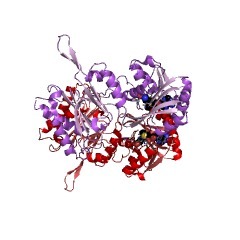 The THUMP domain consists of about 110 amino acid residues. 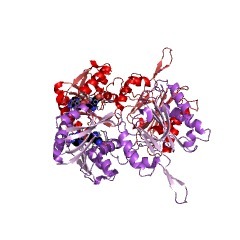 The structure of ThiI reveals that the THUMP has a fold unlike that of previously characterised RNA-binding domains (PUBMED:16343540). 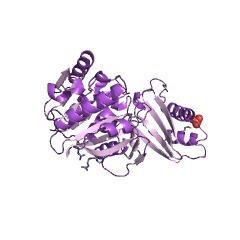 It is predicted that this domain is an RNA-binding domain The THUMP domain probably functions by delivering a variety of RNA modification enzymes to their targets (PUBMED:11295541). 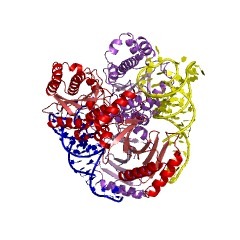 The THUMP (after thiouridine synthases, RNA methylases and pseudouridine synthases) domain is a module of 100-110 amino acid residues which is involved RNA metabolism. 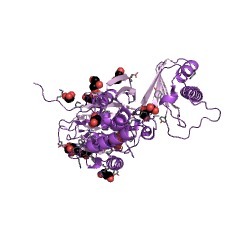 It is shared by enzymes that are predicted to carry out at least three unrelated types of RNA-modification, namely methylation, pseudouridylation and thiouridylation. 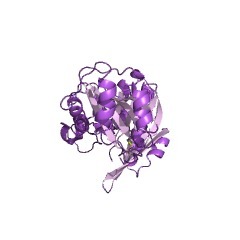 The THUMP domain can occur in stand- alone form or in association with a variety of catalytic domains, like methylase, pseudo U-synthase or rhodanese. 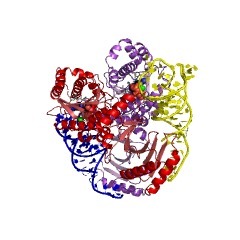 THUMP is an ancient domain with predicted RNA-binding capacity that probably functions by delivering a variety of RNA modification enzymes to their targets. The THUMP domain apparently evolved prior to the divergence of the primary divisions of life [(PUBMED:11295541)]. The THUMP domain has been predicted to adopt an alpha/beta fold similar to that found in the C-terminal domain of translation initiation factor 3 and ribosomal protein S8 [(PUBMED:11295541)]. There are 21235 THUMP domains in 21235 proteins in SMART's nrdb database. Taxonomic distribution of proteins containing THUMP domain. This tree includes only several representative species. The complete taxonomic breakdown of all proteins with THUMP domain is also avaliable. 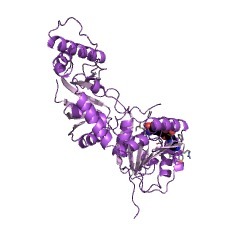 Click on the protein counts, or double click on taxonomic names to display all proteins containing THUMP domain in the selected taxonomic class. 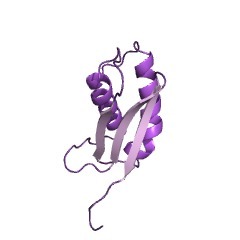 Crystal structure of Bacillus anthracis ThiI, a tRNA-modifying enzymecontaining the predicted RNA-binding THUMP domain. 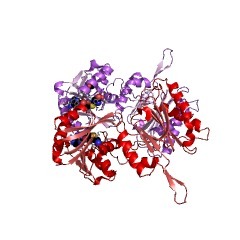 ThiI is an enzyme responsible for the formation of the modified base S(4)U(4-thiouridine) found at position 8 in some prokaryotic tRNAs. This baseacts as a sensitive trigger for the response mechanism to UV exposure,providing protection against its damaging effects. 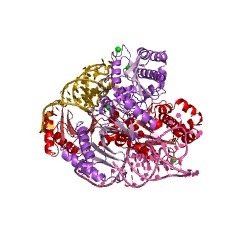 We present the crystalstructure of Bacillus anthracis ThiI in complex with AMP, revealing anextended tripartite architecture in which an N-terminal ferredoxin-likedomain (NFLD) connects the C-terminal catalytic PP-loop pyrophosphatasedomain with a THUMP domain, an ancient predicted RNA-binding domain thatis widespread in all kingdoms of life. 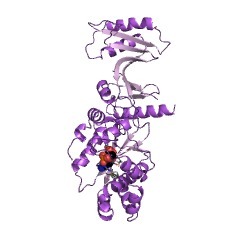 We describe the structure of theTHUMP domain, which appears to be unrelated to RNA-binding domains ofknown structure. Mapping the conserved residues of NFLD and the THUMPdomain onto the ThiI structure suggests that these domains jointly formthe tRNA-binding surface. The inaccessibility of U8 in the canonicalL-shaped form of tRNA, and the existence of a glycine-rich linker joiningthe catalytic and RNA-binding moieties of ThiI suggest that structuralchanges may occur in both molecules upon binding. 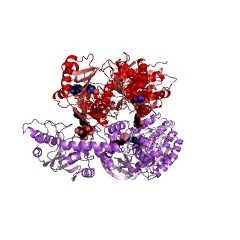 THUMP--a predicted RNA-binding domain shared by 4-thiouridine,pseudouridine synthases and RNA methylases. 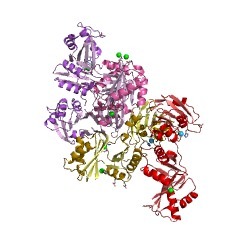 Sequence profile searches were used to identify an ancient domain inThiI-like thiouridine synthases, conserved RNA methylases, archaealpseudouridine synthases and several uncharacterized proteins. 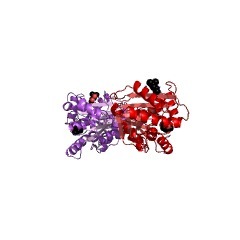 We predictthat this domain is an RNA-binding domain that adopts an alpha/beta foldsimilar to that found in the C-terminal domain of translation initiationfactor 3 and ribosomal protein S8. 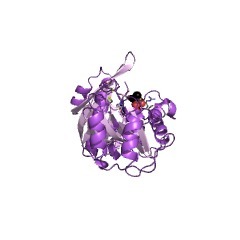 3ldu The crystal structure of a possible methylase from Clostridium difficile 630.